Christmas is only a FEW more days away! YICKS! Just over here finishing up the last few touches of our gifts. Anyone else enjoy Christmas? Gift giving can be stressful at times especially if you have now waited until the last minute, EEKKKK! Not to worry I have you covered with a few last minute suggestions from my friends over at Verizon! Have a someone in your life that need a new phone? I have been testing out several different cellphones over the year and the new Pixel 2 is my suggestion. The screen is compact and can easy fit in one's back jean pocket. The camera both forward and selfie mode shoot in almost DSLR comparable clarity! You can see some examples here. Right now they have some amazing plans to help you get a great deal and possibly extra lines??? The Holiday Season is fast approaching. As we get ready for the celebrations, presents and family coming over we need to remember our furry friends. Though this time can be fun and memorable your pets might have a different view of the Holiday Season. Enjoy some safety tips to keep your dog happy and healthy! 1. Remember to keep your pets in mind when decorating! I found that having glass ornaments never end well in our house. While they are pretty to look at they are not so nice to sweep, vacuum and chase your dog down once they have them. We have completely switched to plastic and or dog friendly homemade ornaments. 2. Did you know holly, mistletoe, and poinsettia plants are poisonous to dogs or cats? I stopped buying them altogether because I don't want to run the risk of our animals getting them. My mother just places them in areas her animals can't reach which is another option. This is a sponsored conversation written by me on behalf of Icelandic+™. The opinions and text are all mine. 3. Gift them something to encourage a healthy lifestyle. While our little fur-babies stomachs are on the soft side I have to watch what we give them. I want to spoil my pets but I also do not want them getting sick from treats! 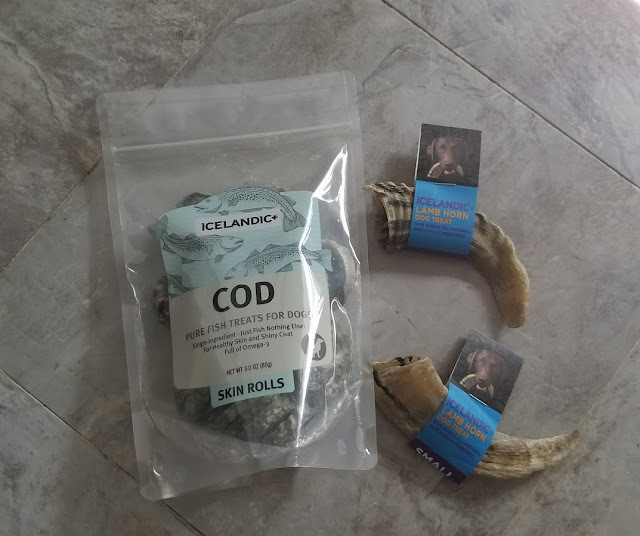 I recently introduced them to the Icelandic+™ line of products. While they feel they are getting a treat I can be assured they won't be getting sick from unknown ingredients! A few months back, I shared our plans for setting our son up with a 529 College Saving Plan. Today, I want to share some of our experiences we had in this process. I figured the Holiday Season would be a great time to share our investment strategies. We all are getting ready for the new year and planning budgets. You might want to also consider including your child's college fund. Christmas is such a hectic time of year for parents. We are running around trying to decorate, buy gifts and make Christmas parties. I remember when these things used to be so enjoyable and easy to do. Somehow with little one's in tow things start to feel more like a chore rather than the "happiest time of the year"! Here are some great Holiday Baby Gift Hacks to help you get through this busy time of the year. 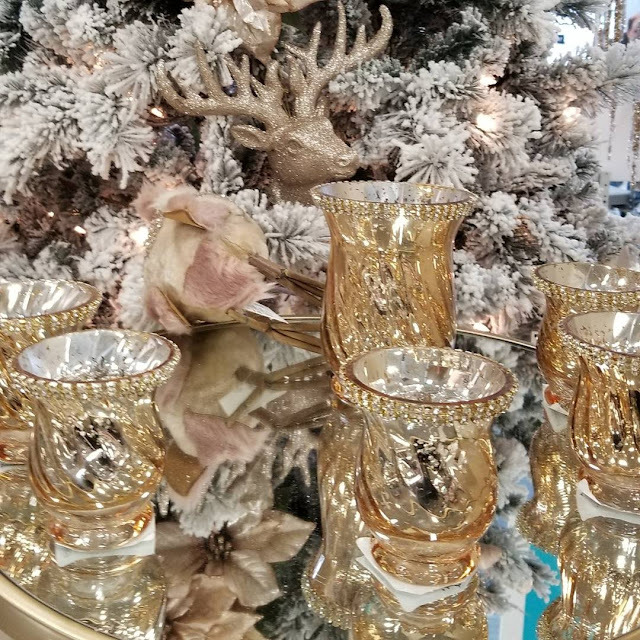 From gift ideas to ways to save money I think you will find a little something for everyone. I did this last year and think it is such a great idea I wanted to do it again this year! 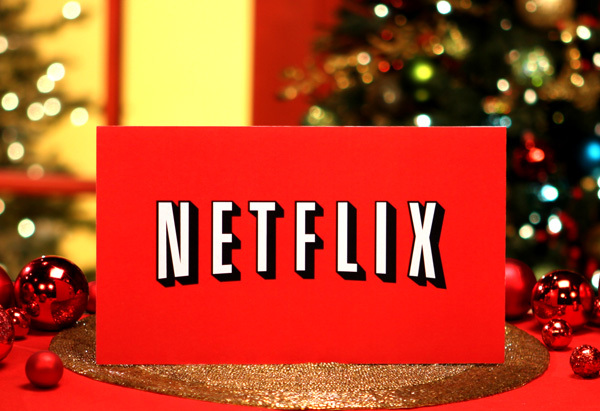 12 reasons, I think, Netflix makes the best holiday gift for everyone on your Shopping list. 12. 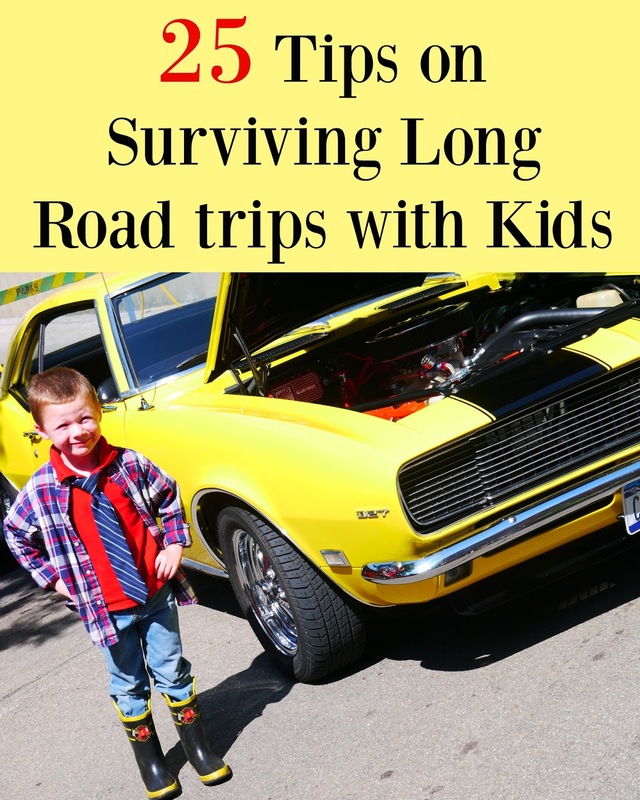 To those parents who travel enjoy 25 Tips on Surviving Long Road trips with Kids. 10. Have a guy who needs new shows to watch?? 10 Shows for the Man Cave. Not even going to pretend I made this without help. I enjoy watching Youtube videos and I came across this particular one. I have added and taken things out of the original recipe to accommodate my families taste! It is SUPER easy to make, with savory flavors that is sure to be a hit. Every child WANTS to believe Santa Claus is real. My son in particular knows the Santa we see in the shopping Malls is the THEE Santa but rather just an adult in costume. I like to think he has the spirit of Christmas though. 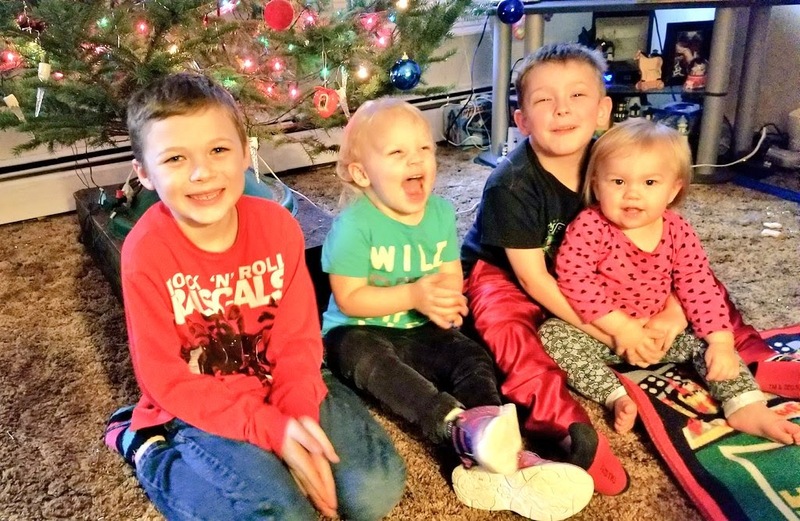 We send a letters to Santa every year in hopes he may hear my sons magical wishes for the coming Christmas Holiday. This year I thought I would jingle things up a bit. 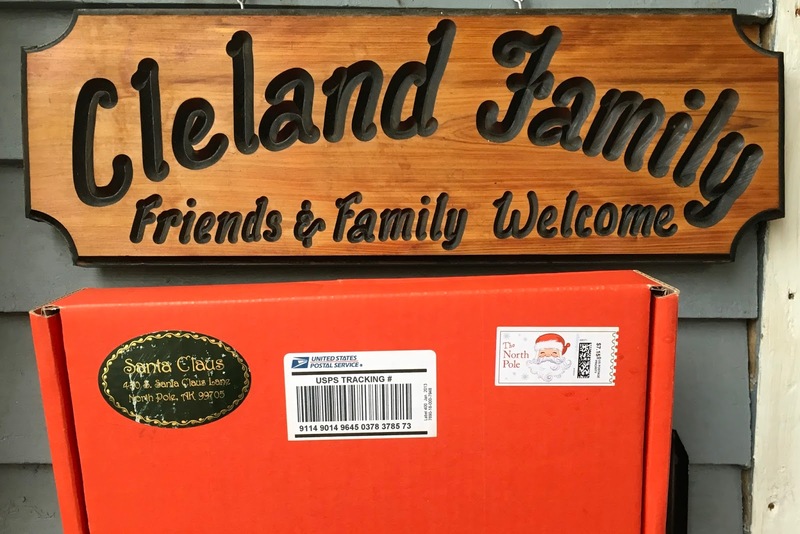 I headed to PackagefromSanta.com and sent him his very own customized box of Christmas Magic. This post is in collaboration with PackagefromSanta.com All opinions are my own. I truly had no idea if he would believe it came for THE Santa or if he would just think the idea itself was neat! When it arrived I soon realized that the idea of Santa was definitely still in him even at age 7! The package was so authentic and realistic I have to say I am a bit jealous Santa did not send me a package ;). Sometimes us city folk need a trip to the back country roads!! I had a work trip venturing to the Pocono Mountains and decided to leave early. My spouse and I have not traveled to many parts of Pennsylvania yet. Since it is our neighbor state I feel bad about that and want to explore it more. We made reservations at the Lodge at Raven Creek in Benton, PA. 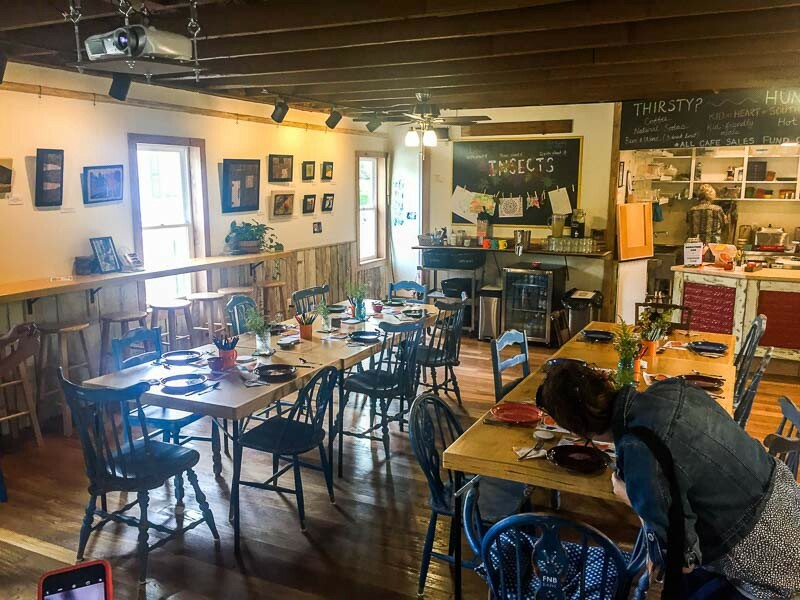 According to their website it was described as: a quaint Bed & Breakfast near Rickett's Glenn State Park and Bloomsburg, PA.
Aside from that we had no idea what we would be walking into to. We arrived late at night due to our GPS (need to replace that glitch-y thing) and turned it early. Before doing so, can we appreciate this fabulous decor in our suite (pictured above)??? Our room had a nice design, layout, modern amenities and we both slept comfortably. As a mother you hear a lot about all the things you need to teach your child. Society, the education system, other parents and media flood you with advice on how to raise your child. One of the major educational focus teachers have in the last few years are STEM learning programs. What is the STEM approach people are talking about, you might ask? It centers around Science, Technology, Engineering and Math education. I often see companies advertising for more parents of daughters encourage their child to enter into engineering because they want more in that field. Luckily for us, our son enjoys these four subjects with absolute GUSTO! He not only excels in these categories, tests high for his age but thoroughly enjoys them. We encourage him to not only learn via text books but handling technology and using these in every day life practices! #weneedmore kids to see the world of possibilities waiting for them. In order to compete for the jobs of the future, it's essential for every kid to have access to technology and STEM education. With about 9 million available STEM jobs – and over 4 million available jobs in science and technology alone – our youth need access to education and resources that will prepare them for success in tomorrow’s high-tech world (an excerpt from Verizon Website)". Ever visit a place and instantly know it is going to be somewhere you come back to year after year? Took a long weekend to the St. Simon Island in Georgia and felt this exact feeling. I am not sure what made me feel this way maybe it was the pineapples displayed on their front sign marking Southern Hospitality?! For years I have felt this same draw from Saint Augustine, Florida. Once I started telling people where I was traveling too I found so many of you have visited here before. All these years I feel I lost because I had no idea this little piece of history heaven existed. Glad I changed that and now I am sharing about my trip with complete admiration and gusto! One of the first stops after check in was a trip to the Christ Church, Frederica, an Episcopal community. "They combine the ancient ways of Christ’s followers with the modern needs and experiences of today’s people". You can attend a service (president's have so you are in good company), or explore the grounds and historic cemetery! Just look into tour information and services here. 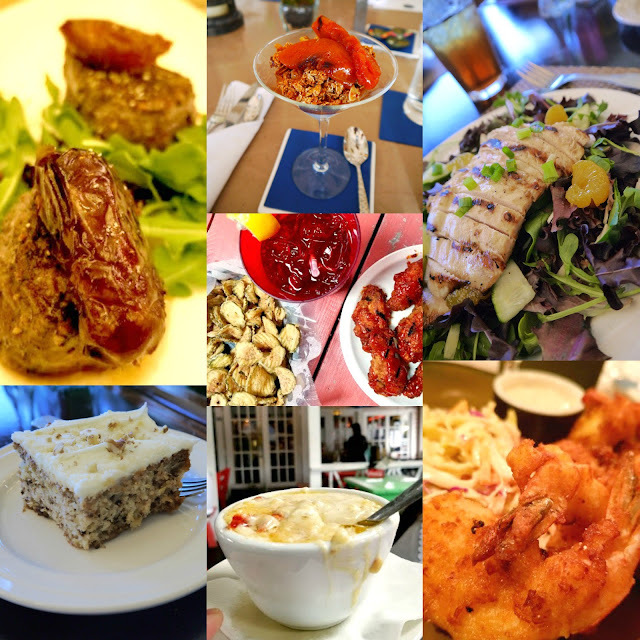 Since I am such a history buff and foodie I explored much of the island while visiting. I ventured to the pier and observed anglers ringing in their catches. From crabs, fish to shrimp! It was truly a delight to find a place with such hospitality and passion for the food scene. From culinary chefs to every day home cooks this island has it. Enjoy all the places I ate while in town here. Next, I climbed the 129 steps to enjoy a view at the top of the St. Simon island Lighthouse. Imagine a 360-degree coastal view of the area. I love saturating myself into the history of a place while visiting. 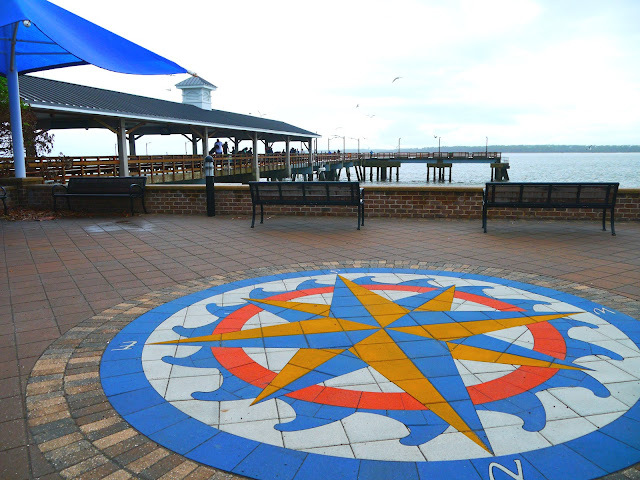 Georgia was the epicenter of conflict in the 1700s and St. Simon Island is a perfect place to learn some history. Fort Frederica, for example, was built as a southern boundary marker. We embarked on a little “putting” competition while enjoying the course. Would it surprise you I have never played gulf before (Even though I live extremely close to many courses)? I was excited to learn some techniques but more excited to taste their food. Whenever I hear an establishment cooks from scratch, my taste buds do a “happy dance”. Overall, my experiences were so positive I found myself not wanting to leave. 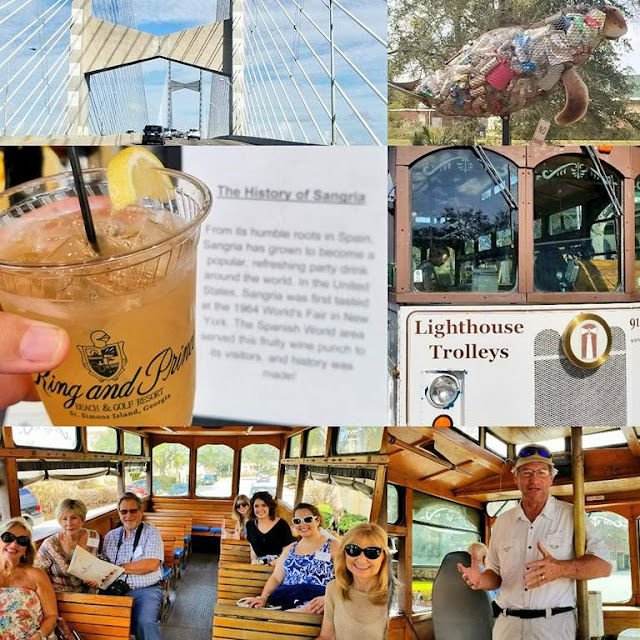 Everything about the area, fellowship with locals and businesses were so inviting. Before checking out we did manage to squeeze one final HOORAH with a friendly food competition. It was held in the Retreat Dining Room overlooking the Atlantic Ocean. With their Executive Chef, Sous Chef and Banquet Chef as judges. We won the smoothie competition with our "Peanut butter crunch" smoothie creation (pictured above)! 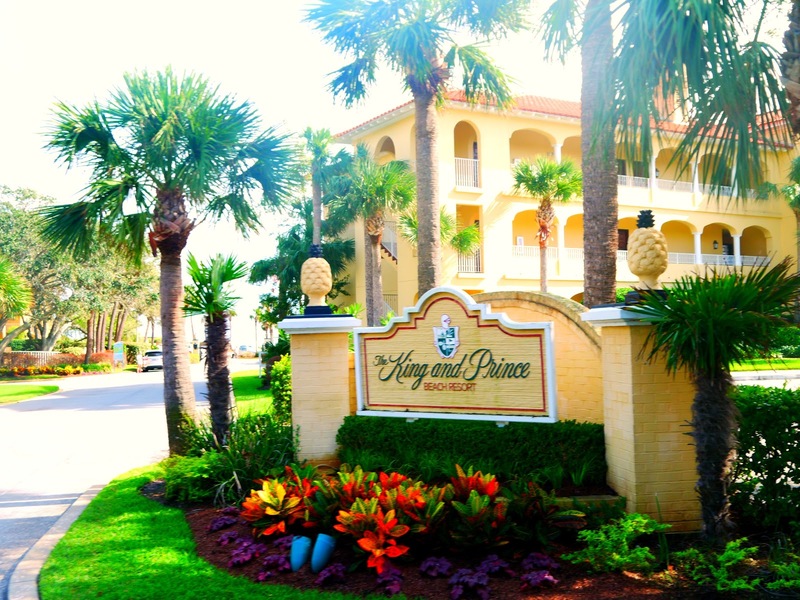 Have you ever heard of the King and Prince Resort?? 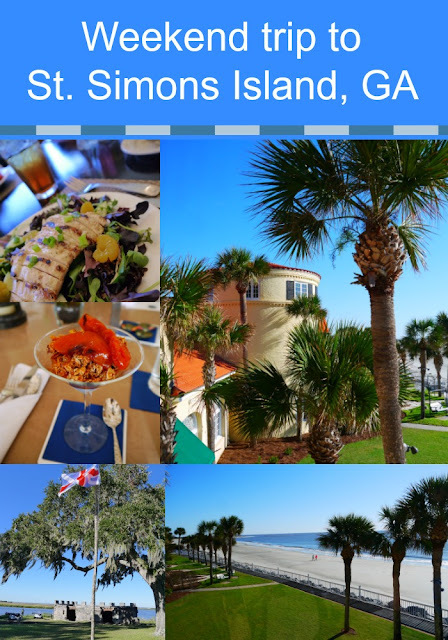 Or traveled to St. Simon Island? I would love to hear your suggestions on locations I might have missed for my next trip! November is the start of delicious desserts in my family. My mother is one of the best bakers I have come to know. I am not just saying that because I am bias. She has talents I wish rubbed off on me. While I love to cook, baking has never set well with me. She can taste a sweet treat and replicate it without a recipe. It is almost like a work of art! I believe it was her food passion that started my journey down the culinary road. Last year, I officially became certified as a Food Judge and started to work in the food industry. Grading competitors as they tried to win different food competitions while making friends along the way. 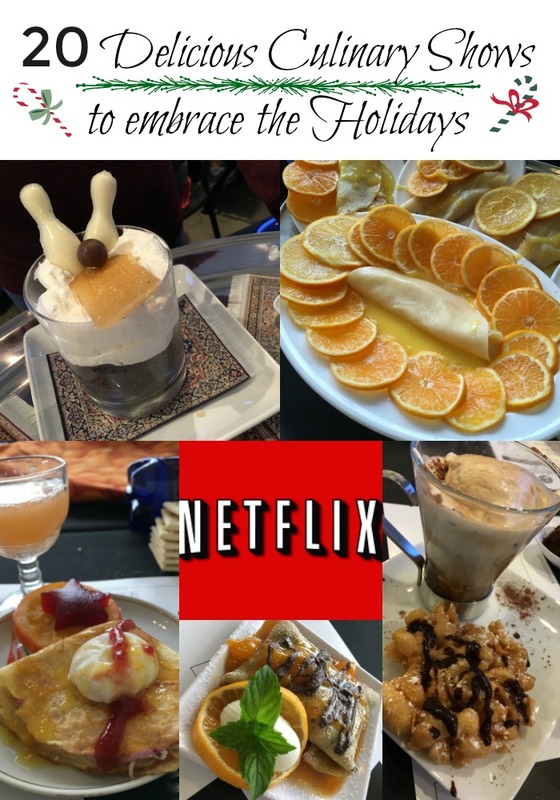 To celebrate the start of Holiday Desserts, treats and cookies here are some great shows on Netflix centered all around Food! Cooking everything from scratch has really encouraged my passion for creating dishes and these shows help fuel it! 1. The Big Family Cooking Showdown- We just binged watch this and LOVE it. Something about home cooks showcasing their passion of food get me so excited to be in this field. 2. Zumbo's Just Desserts- Our son LOVES this one. He was a huge fan of the Cupcake ladies in D.C. and this runs similar to it. The floating top hat was our favorite dish created so far ;). 3. Chef's Table- While this is on the slower side it really shows different culinary masterminds at work. 4. Rebel Without a Kitchen- The flavor of this show it so exciting. I hope to travel to Toronto and actually taste his creations!! 7. Chef Vs. Science- This was just added but I am excited to watch this. Our little one enjoys science so I want to see how much it relates to home cooking. 19. The Mind of Chef- "The Mind of a Chef" combines travel, cooking, history, science and humor in a weekly series about everyone's favorite topic -- food. Each season brings with it a new host as well as fresh and exciting recipes. The series is narrated by chef Anthony Bourdain". What are you favorite Culinary shows?? Do you watch one I forgot to mention?? We took a scenic drive along the Cacapon River to a 19th Century Resort called the Capon Springs and Farms. Many describe it as one step up from camping and I would agree with that to an extent. While you may not have all the modern luxuries this place offers so much more to families. I was hosted as part of a FAM tour to help facilitate my review. I was not required to write a positive experience. All thoughts, opinions and photos are my own. While here you can enjoy a home away from home uninterrupted. 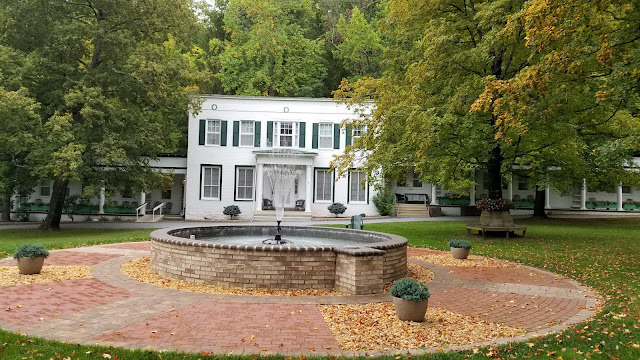 Put down your electronics and reconnect with your family members again over a game of ping pong, pool, cards or day at the Hygeia Bath House & Spa. Dogs are a magnificent creatures. They can become domesticated animals that are around when you need them. They can lift someone up from a disability and become service animals. They fight along side many of our military in combat. What are ways you can show them love in return for such faithfulness? “This post was made possible by iConnect and Petcurean. I was compensated for my participation in this campaign, but all opinions are 100% mine." 1. Give them a secure and safe home. The first dog we ever rescued came straight from dirt floor housing. She had nothing nor even knew how to drink water. 2. Give them a proper diet. Being healthy is not just about what they eat but what is in the food they consume. 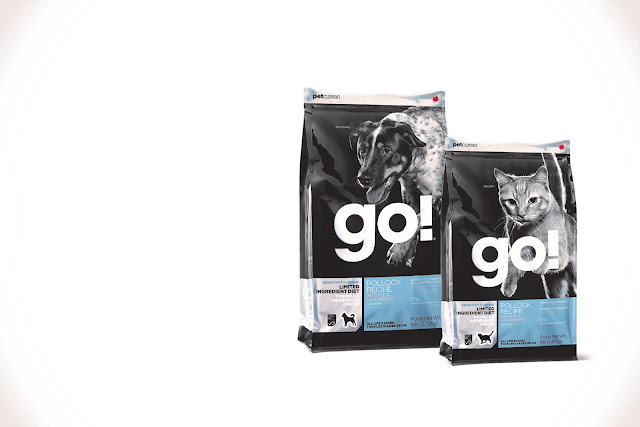 Petcurean recipes for example, are made with premium, nutritious ingredients to meet specific needs of dogs and cats. All ingredients are sourced from North America, New Zealand, and Australia. 3. Let them have access to water. keeping your pet well hydrated shows a sense of security. Obviously, you want to make sure you are not giving them to much so they have accidents i the house so be mindful. 4. Train you dog. Starting your puppy at a young age what to expect in your home is key. House break them to get a schedule routine going. Search out training classes in your area to help discourage aggregation. 5. Keep your home clean. I understand we all have jobs and get busy. Taking the time to make sure they do not swallow something on the floor or trip and hurt themselves takes little to no effort. With a little one crawling around I already do this. 6. Take long walks with them. Try not to get in the habit of just letting them in the fenced in backyard. Or strapped to a leash outside. They need to work off energy and this helps them bond with you. 7. Give them rewards. Hugs, kisses, allowing them to cuddle with you or treats. SPIKE jerky treat line induces belly-baring, lip quivering and uncontrollable drooling in dogs. 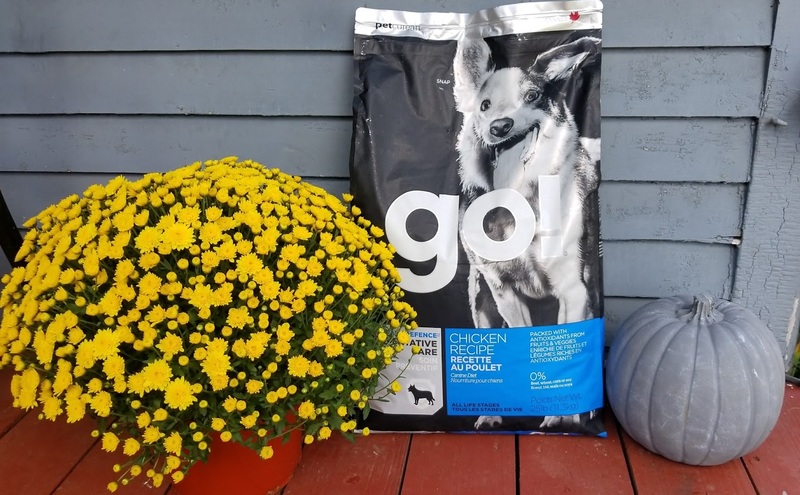 The treat products from Petcurean include four jerky-style treats for dogs – each with a novel protein, including duck, catfish, and turkey recipes. 8. Give them toys! We used to DIY dog toys for the longest time! Re-purposing our old t-shirts honestly made the best toys for dogs who enjoyed chewing. 9. Allow them to go to a dog park. They are a great way to encourage play between other canines. They also are a great way for you to meet like minded dog lovers. Want to try out Petcurean use this code: PS102ZW997 for $5 off. Or you can try and win what I have been raving about!! One 4lb bag Cat kibble, Winner’s Choice! If you have followed my family through the years you might have noticed a partnership with Wubble Ball. Each new product that comes out has something exciting to offer that leaves us with hours of fun together! Over the Summer my son enjoyed the Super Wubble pictured above. **I received a free product to review. I was not required to write a positive review . The opinions I have expressed are my own. I am disclosing this in accordance with the FTC Regulations. When the leaves start to change, we are busy putting together our annual Pumpkin Party. It has become more of a tradition now after all these years! I honestly can't believe when I started doing this, years ago, so many people would look forward to it year after year. I started the annual Pumpkin Party, before I had a child. 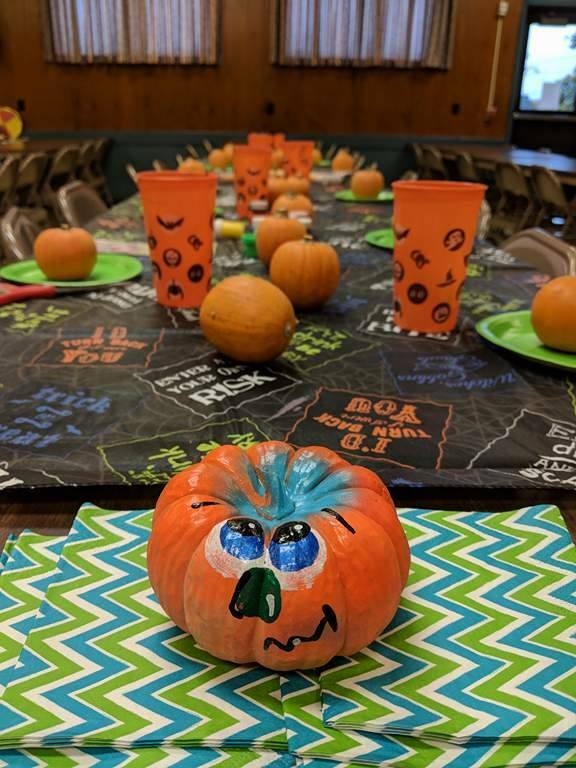 I saw a need for families who could not afford pumpkins and wanted to change that. What do I do for a living? I started this website years ago with the intent to help others save money. It grew to be so much more than I had ever envisioned. I truly did not think it would take off and people would follow my posts. Something about struggling with grammar, spelling and thinking I was not a natural writer held me back. I have come so far from those first few posts that went live. I can't guarantee I am an excellent speller, that my grammar is on point or that I consider myself a writer even to this day! I will say I have grown and this website has helped me in many ways. I now strive everyday to be a better writer, better photographer and better at expressing my passions on this forum. Often times my job sends me to areas of the world I have never been. You might not always see the behind the scenes photos of me in action. I promise there is a LOT of action behind these posts. I wish I could just wake up and the words flow on these webpages as easy as my laundry bin fills up weekly. That is NOT the case. I struggle with content at times, writers block or camera malfunction. When I am on Press trips I need my equipment to be on it's best behavior because people/business are counting on me! My family is counting on me and I am counting on myself to not fail them. I love my job and I want to do the best I can to create content that resonates with my personality! I've had trips I left my camera battery at home, forgot SIM cards or just lost charging cords. These things happen and I roll with all the technology punches, trust! It's Breast Cancer Awareness Month and I have a few things to say about it! 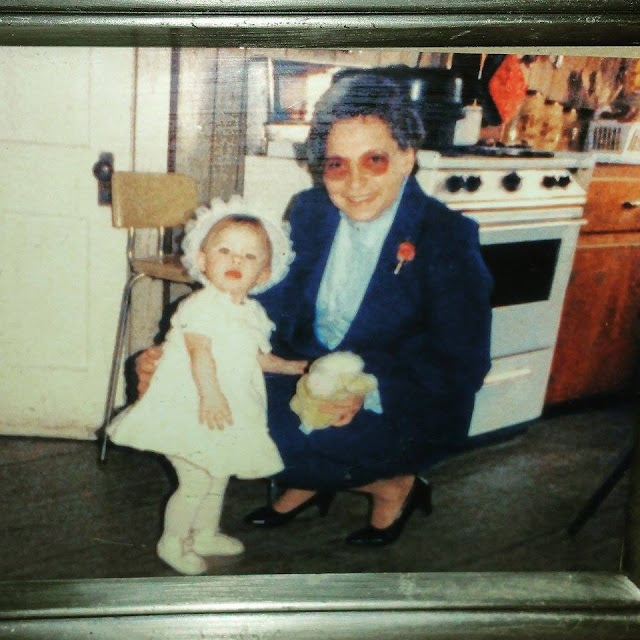 Meet my grandmother, Helen (pictured above). She was an instrumental person in my life. We have those types of people we look up too. You know the one's we run to with our problems and they always know the solution. The people who make even the toughest day seem like a walk in the park! She was my "person". Her beauty shined both outside and in. 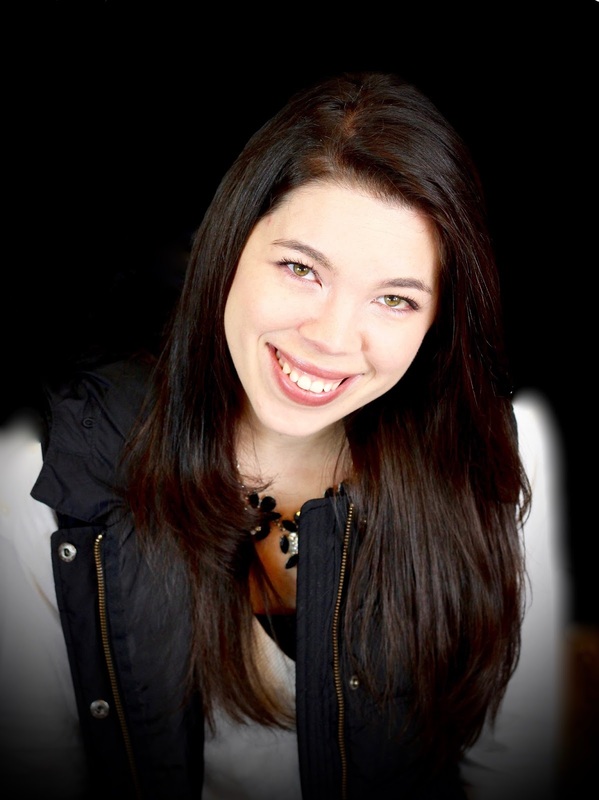 She helped fund a Christian Camp, that NOW services hundreds of young adults. As a small child she taught me so much but it wasn't until her battle with Breast Cancer I would learn the hard life lessons. Cancer has no "avoid button". It does not care if you are sweet, humble, beautiful or mean. It does not care if you are white, black, purple or yellow toned skin. Cancer does not discriminate against religions or sexual orientation, it knows no boundaries of who it will effect. My grandmother fought daily once diagnosed! She lost parts of her women hood, little by little it took over her entire physical body. I remember riding to her treatments listening to "He has the whole world in his hands" thinking she is so brave. The leaves are changing to vibrant hues of red, orange and yellow all around us. The more I travel, the more I realize not everyone is blessed with this fact of biology. If you want to enjoy some Fall foliage here are some rather picturesque places we have ventured to in the Northeast. I know not everyplace is listed so be kind if your area wasn't. I do plan to visit more places throughout the Fall this season to add to my list for next year! First place, pictured above, is The Great Pumpkin Farm located in Clarence, New York. They have rolling hills to view the leaves changing while you can enjoy a hay ride! 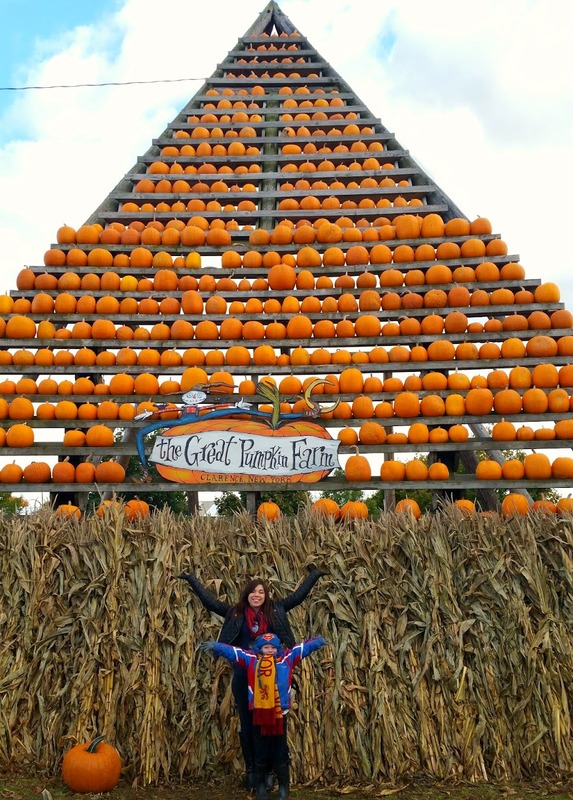 This Farm also has a lot of fun Fall activities for the whole family including Pumpkin contests, Mazes, pumpkin picking and more! On my last travel post, Historic Romney, West Virginia, I left off turning in for the night at our Motel. The next morning we were bright eyed and bushy tailed, as they say, for a little hiking adventure. First on the agenda was the Ice Mountain Preserve located off country roads about 30 minutes east of Romney, WV. While they are open to the public you do need to reserve a tour/guide because the trails are only accessed through private properties. There are two different trails you can enjoy here: lower trail that leads to Ice “vents” or the top of the peak trail, called Raven’s Rocks. I would say the trails are moderate hiking level. They have a mountain incline to go down and climb back up. Once you walk down the trail, you enter back in time. The ice "vents" in the ground provide cool temperatures that encourage rare arctic plants to glow along side the tropical plants. These stay cold throughout winter and are the last place to thaw late into the Summer. The plants grown here are not found in this area on normal conditions. They are a complete natural wonder preserved in this mountain side. Halloween is an exciting time around my home. Between decorating the house, planning for our annual Pumpkin party or picking out costumes. I asked you all a few days ago what you were going to be for Halloween and was shocked many of you had not decided yet. I personally love dressing up! Maybe I want to hold onto the playful child spirit by dressing up. Maybe it is the look in our son's eye when we go all out to create a costume. It's honestly just plain good old fashion fun for a day! Finding the right costume at a great price is the key though. While I love looking as genuine as I can, no fake costumes here. I don't want to break the bank doing it because it is for ONE day/night only. I thought I would talk about where we got our costumes this year! Let me introduce to you my new favorite Halloween prop/costume place: the Costume Super Center. I received a free product to review. I was not required to write a positive review nor was I compensated in any other way. While my son enjoys everything mystical and brought up in the Fantasy land he has really stayed away from scary costumes. This year he decided to put down his Gryffindor robes and join the Huffpuff house to channel Newt Scamander from Fantastic Beasts and Where to find them.